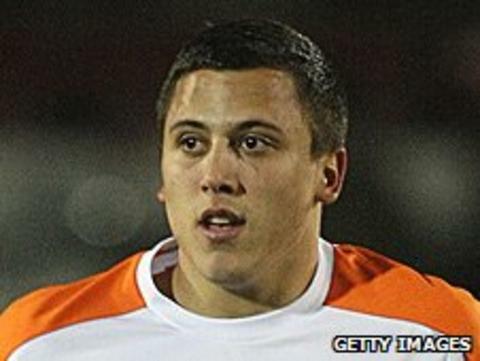 Crewe Alexandra teenager Antoni Sarcevic has said he is certain he can make the step up to league football. The 19-year-old is still to make his league debut having signed in 2010 from non-league Woodley Sports. Sarcevic won praise from his manager Dario Gradi after he scored the winner against Wolves on Saturday. He told BBC Radio Stoke: "I have had to work hard on my fitness in pre-season, that has certainly helped my game and I'm determind to grab my chance." The midfielder was out of contract this summer but Crewe took up the option of signing him for a second year. Last season, Sarcevic made six substitute appearances scoring one goal at Northampton Town. Gradi added: "He has had a bumpy first year with us but has come through it well and I've been impressed with him and his attitude. "He probably came here and found it all a bit strange. He must have thought the whole world was against him, me especially, but he has become more responsible in his play and can be a match winner. He has goals in his locker."